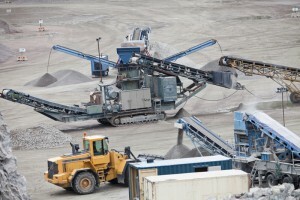 Enterprise asset management will be critical for the “smart” mining operations of the future. Since the widespread industrialization of the mining industry, public perception hasn’t always been favorable to those in charge. Complaints about worker and environmental safety have historically plagued the mining sector and created external political and social obstacles that have combined to make a tough job even tougher. 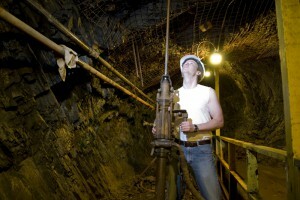 Mining may be one of the oldest professions in human history, but that doesn’t mean it can’t keep up with the times. A whitepaper from IBM pointed out that the industry is on the verge of some exciting changes that will not only boost the efficiency and bottom line of the mining companies, but provide much needed respite to the environment and workers as well. Worker safety has been a thorny issue for mining companies, but new technologies could be the answer. The lean methodology may be most well-known for its application in manufacturing, but the fact is that its principles are ripe for application in almost every industry, and especially in mining. According to IBM, mining operations are no longer just digging up as much material as possible and trying to find a buyer for it later. They’re now operating on a “pull” system in which the operation doesn’t begin until a customer places an order. Essentially, the goal here is to streamline operations to the bare essentials, only using labor and capital resources when a sale is guaranteed, avoiding wasted materials, labor and unnecessary wear on heavy assets. This is a much needed evolution for the industry. With the rampant industrialization in Asia and other parts of the developing world and globalization of markets, the demand for raw materials is slated to rise significantly. Naturally, this is leading to an influx of new entrants to the market, increasing the intensity of the competitive landscape and creating significant commodity price volatility. 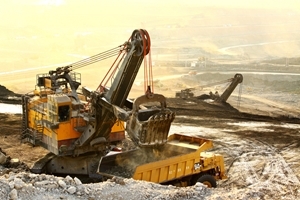 The Harvard Business Review reported that several mine operators are pushing their equipment utilization up to a staggering 85 percent capacity to meet the demand. But even in spite of this breakneck (not to mention dangerous) rate of utilization, overall productivity often fails its potential. So what are mine operators doing to remedy this? Smart mines will be well-equipped to handle the myriad challenges posed by the volatile commodities markets. In addition to adopting the lean methodology, mine operators are looking to upgrade their asset fleet to be smarter. Smart products have taken hold in nearly every vertical, signifying a jump to products that come equipped with Internet-connectivity for the purposes of data collection that can be used for predictive maintenance, measuring productivity or other analytical uses. The potential benefits haven’t been lost on the mining community. Rather than rely on labor-intensive heavy assets that could possibly endanger workers or the environment due to improper operation, mining companies are turning to automated, Internet-connected machinery and equipment to do the bulk of the heavy lifting in a safer, more efficient way. Future Market Insights, a research firm, projected that the market for smart mining equipment will grow at a compound annual growth rate of 14.5 percent by 2020, culminating in a valuation of $13 billion that year. FMI consultant Vineet Kumar said that one of the primary drivers of smart equipment adoption was the ability to tap into asset-related data to drive predictive maintenance strategies that will prevent asset failures both big and small, thereby reducing downtime, keeping costs under control and protecting the surrounding environment from any deleterious effects. “Both surface and underground miners are aware about the advantages of smart mining and its low impact on the environment. These factors are fuelling the adoption of smart mining globally,” Kumar said in a press release. These new assets, ranging from smart drillers and loaders to self-driving trucks, are becoming the bulk of the workforce. With many miners slated for retirement and few younger workers to fill the gap, mining operations will be more reliant on their machinery and equipment than ever. But while the machines solve some problems, they create others: How can mining operations handle all of that data and put it to good use? Moreover, how can miners limit the downtime created when a key asset is down? A report from IBM pointed out that with the full range of physical and digital assets, miners can’t silo their business units. Everything has to come together under one unified system to ensure that asset-related data is available to the right stakeholders at the right times. A computerized maintenance management system like IBM’s Maximo is a powerful way to gather data from disparate assets and drive a predictive maintenance strategy. The data gathered from the Internet-connected equipment is stored in the system, and when it becomes apparent that a critical asset is close to a failure mode, the maintenance team can repair it just beforehand. This maximizes uptime and reduces costs borne from under- or over-maintenance. With margins growing thinner and thinner for mining operations, this cost-saving measure can be the difference between business success and failure.